Hello everyone, Saturday Sketch is here to make your day better! Or more to say, help you if you need a card on this Valentine’s day for a special someone! 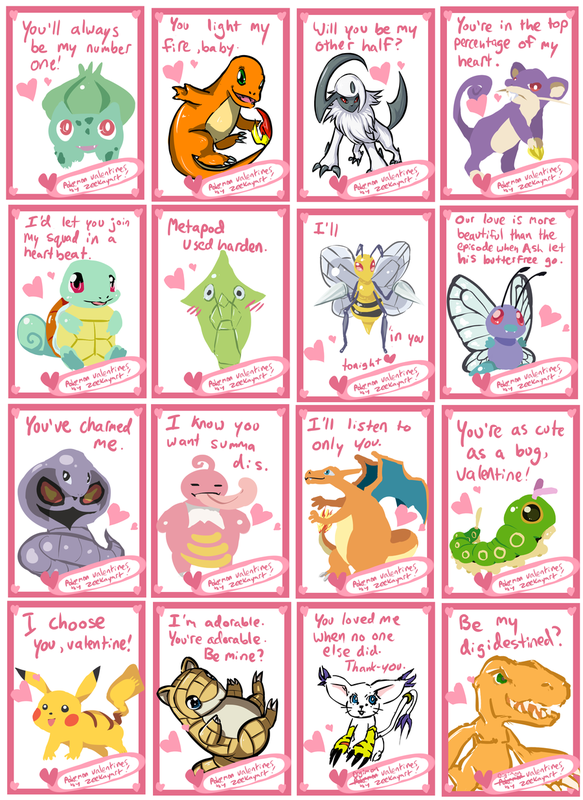 Here we have some Pokémon Valentine’s day themed cards, featuring many different Pokémon. However there is a bit of a surprise at the end... Not being Pokémon related but Digimon. On another note these cards are pretty sweet, with awesome Valentine’s Day related phrases. The phrases aren’t for every age group so be careful if you use these who you use them for! There’s actually a Part 2 also, here it is below. Thanks for joining me this week for this edition of Saturday Sketch. Hope you all have a good Valentine’s Day and I will be back next week with another Saturday Sketch.